This is a Brown Hyline. It is a commercial breed cross between a RIR and a White Leghorn. They lay brown eggs. 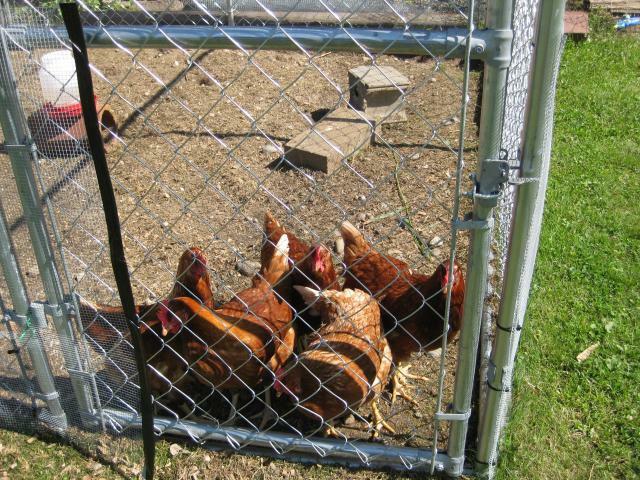 Here are Penny, Patty, Polly, Priscilla, and Petunia. These are my sweet girls. 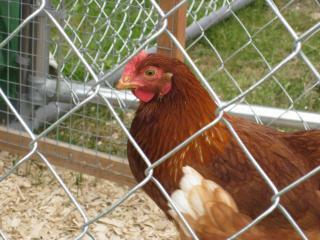 Above is Patty, who alonng with Petunia are my most friendly. This is Petunia with Patty looking on in the background. They are both the sweetest ever. Petunia is lowest on pecking order. They both love to be held and sit on my feet or lap if I am around. I did not know that they would come beak trimmed. This obviously has some aesthetic drawbacks, but they all eat great and peck bugs like nobody's business. 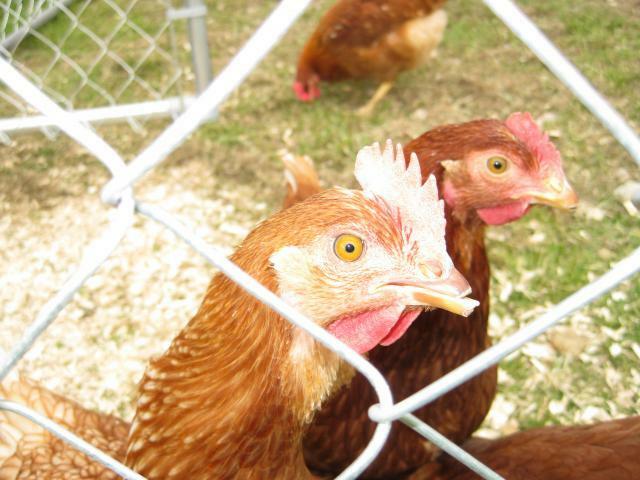 They also don't hurt when they peck my hand, arm, or leg. And they have not injured each other either. We shall see.